On June 21, 2018, the U.S. Environmental Protection Agency (EPA) issued guidance to assist companies in creating structurally descriptive chemical names for substances whose specific chemical identities are claimed confidential and for listing substances on the Toxic Substances Control Act (TSCA) Chemical Substance Inventory. Because the need to retain chemical identity confidentiality is critical, this guidance is an essential read. Here’s why. The “Guidance for Creating Generic Names for Confidential Chemical Substance Identity Reporting under the Toxic Substances Control Act,” was developed in response to the new TSCA Section 14(c)(4) requirement that the EPA “develop guidance regarding – (A) the determination of structurally descriptive generic names, in the case of claims for the protection from disclosure of specific chemical identity…” and the TSCA Section 14(c)(1)(C) requirement that submitters who assert a confidentiality claim for a specific chemical identity must include a structurally descriptive generic name developed consistent with EPA guidance. The guidance updates and replaces the 1985 version published in the TSCA Inventory, 1985 Edition (Appendix B: “Generic names for Confidential Chemical Substance Identities”). In accordance with TSCA Sections 14(c)(4) and 14(c)(1)(C), the EPA will be reviewing generic names for consistency with the guidance upon receipt in TSCA filings where chemical identity is claimed as confidential. The agency encourages companies to consult its Office of Pollution, Prevention, and Toxics (OPPT) if they believe it necessary to mask more than one structural element of a specific chemical name protect its chemical identity. In contrast to the 1985 version, which distinguished only between constructing generic names for Class I and II chemical substances, the new guidance specifically distinguishes between inorganic chemical substances, Class I organic chemical substances, and Class II organic chemical substances. 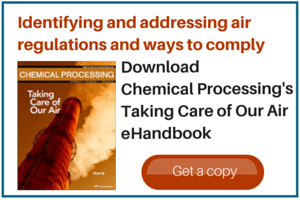 The new guidance specifically refers to Unknown or Variable composition, Complex reaction products and Biological materials (UVCB) substances when addressing Class II organic chemicals. It also lists an additional structural element of a Class I organic chemical substance that can be masked when creating a generic name: stereochemical or isomeric identifiers. The new requirement that generic names be structurally descriptive doesn’t reflect a substantive shift away from previous EPA guidance on generic names. The 1985 guidance illustrates generic names as being crafted by masking a single structural feature of the specific substance name. Masking multiple structural features, which may cause a chemical name to no longer be structurally descriptive, is permitted only if the submitter justifies the need in writing for the additional masking. Similarly, the new guidance focuses on generic names that mask a single structural feature only and encourages companies to consult OPPT if they wish to do multiple masking of a generic name. The major difference between the two appears to be not so much the type of generic name the EPA advises submitters to provide, but the strictness with which the agency determines what constitutes an acceptable generic name. The many new examples provided for class II organic chemical substances, in particular UVCBs, and inorganic substances, suggest that these chemical classes are ones for which the EPA will be expecting more-specific generic names than those submitted according to the 1985 guidance. Additionally, specifically pointing out stereochemical or isomeric identifiers as a structural feature that can be masked suggests that, while the EPA may previously have allowed the masking of stereochemistry along with the masking of an additional structural feature without requiring additional justification (i.e., without considering it to be multiple masking), this will no longer be the case going forward. The new guidance suggests that submitters should begin with the substance’s specific name and mask only the elements that are confidential rather than starting with a very generic name and adding structural information. If more than one level of masking is necessary, written justification will be required. On the practical implementation side, submitters should expect significant scrutiny of generic names; premanufacture notifications may be rejected as invalid if the generic names are too generic. This is one of the many implications of the new TSCA. Take care to understand thoroughly the new rules and guidance on how best to protect chemical identity.